LOUIS XIII (1610-1643), double tournois, type de Warin. 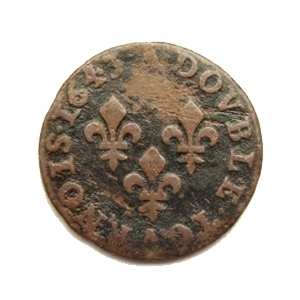 Struck Corbeil 1643. 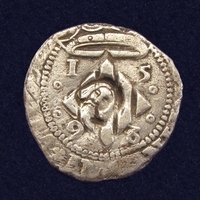 Obverse: Laureate bust of Louis XIII to left. Legend: LVD. XIII. D.G. FR. ET. NAV. REX. Legend: A. DOVBLE. TOVRNOIS. 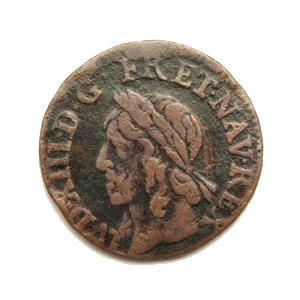 1643.